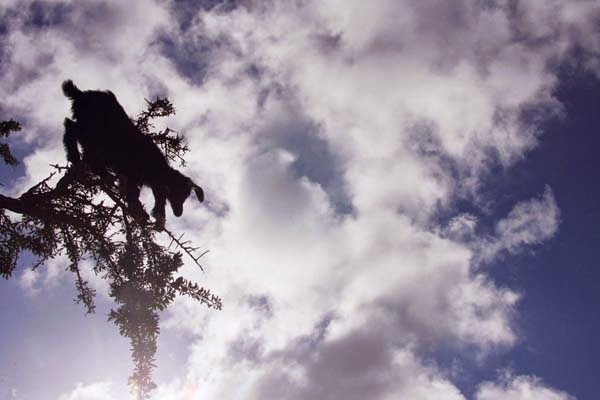 Imagine Driving Down The Road And Seeing THIS In The Trees. Seriously, This Is Crazy. 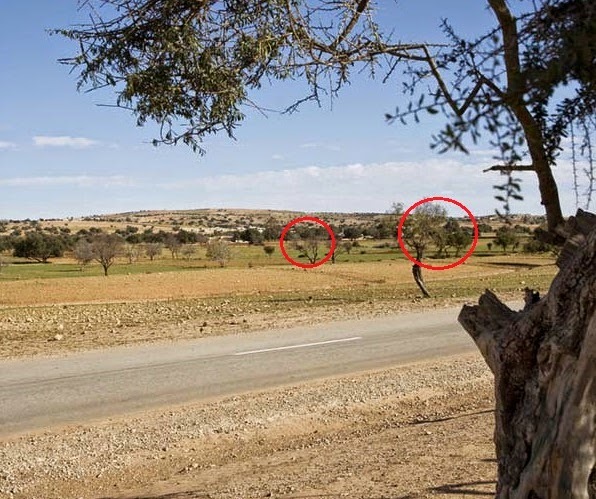 Home » africa » earth » morocco » mountains » trees » Imagine Driving Down The Road And Seeing THIS In The Trees. Seriously, This Is Crazy. No, your eyes aren’t playing tricks on you. 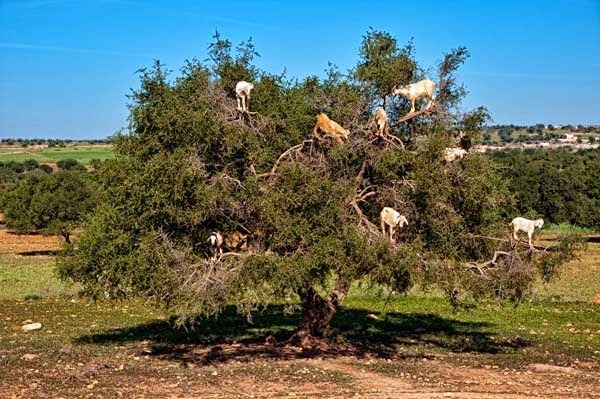 These goats are really hanging out in trees. 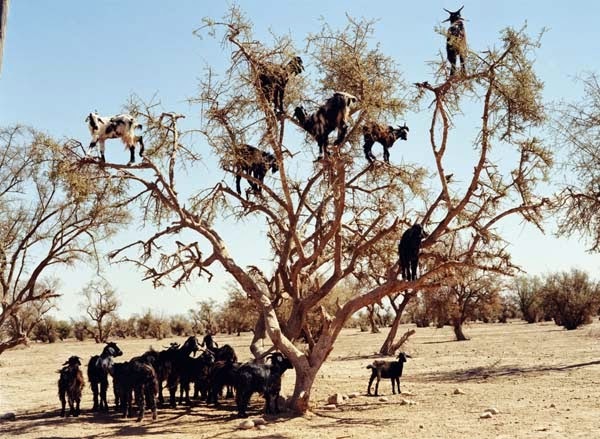 It looks like it would be impossible for them to climb up there, but these Moroccan goats are surprisingly agile for four-legged animals with hooves. 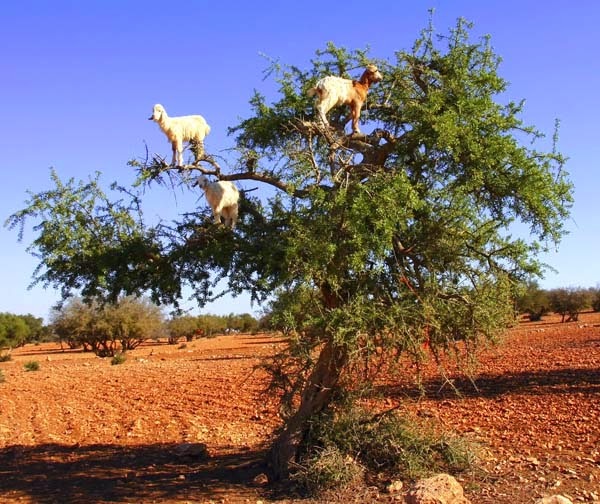 These goats in particular were found in the village of Tamri in Morocco, just doing their thing and acting like little goat birds. But who knew they were THIS talented? 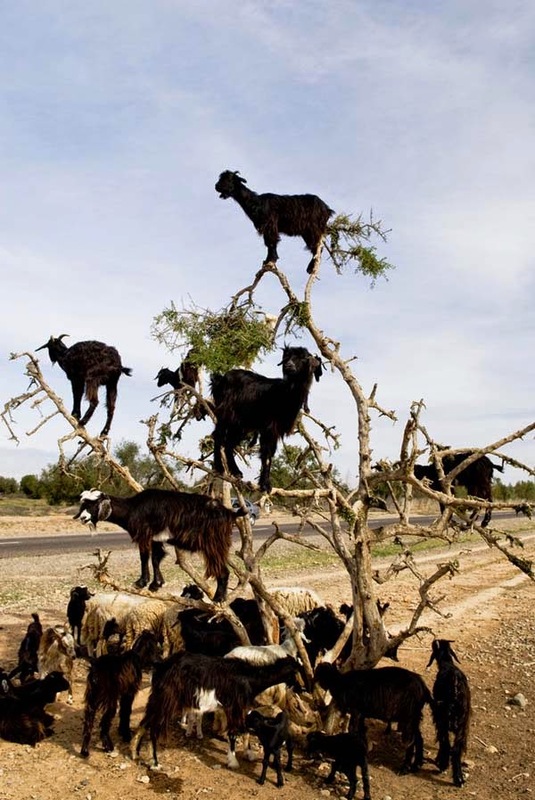 The goats aren’t just pulling off this balancing act for fun. 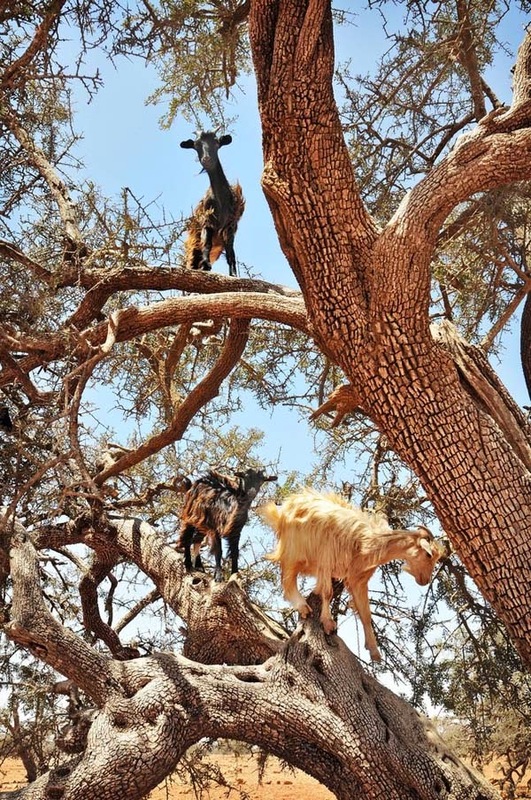 They climb the Argan trees in search of food. They had to teach themselves to do some pretty wild stunts. 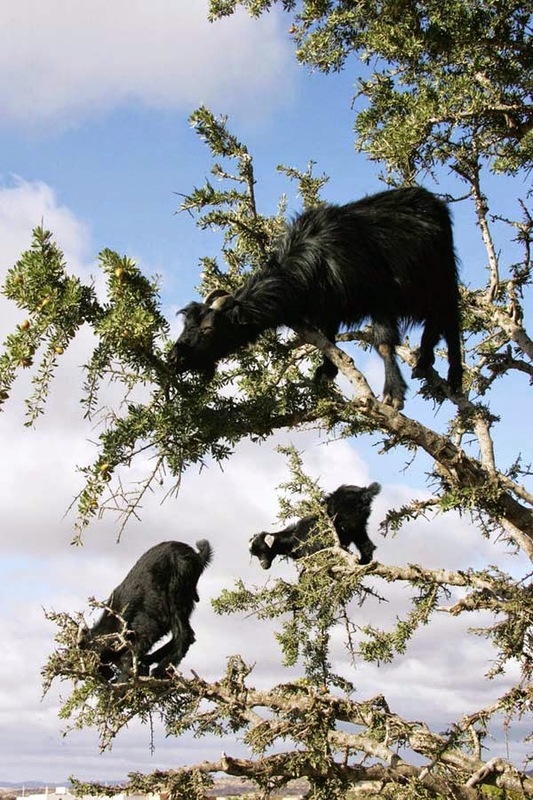 These tree climbing goats are more important than you’d think, though. 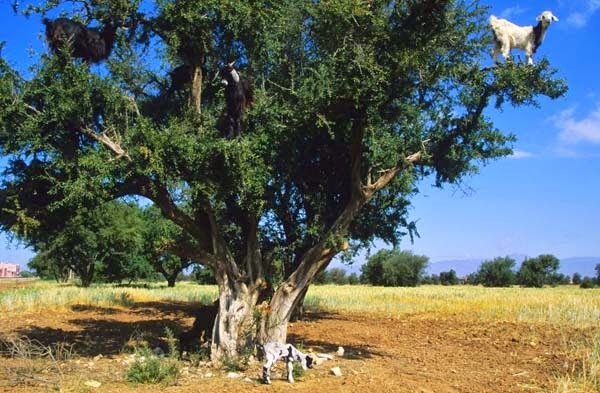 Which are clean and pressed to make Argan oil. The oil is quite popular in Morocco. However, other parts of the world use it for cosmetic and dietary reasons as well. 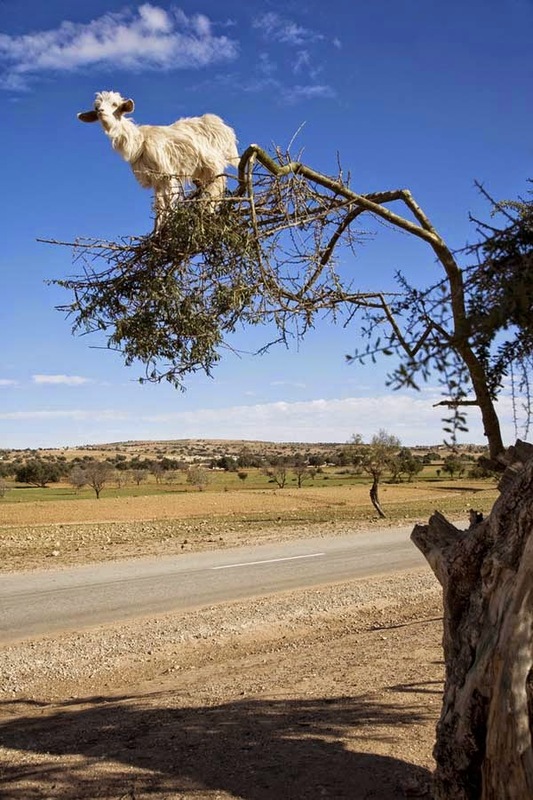 We’ve seen goats climb mountains, but this is still astonishing. 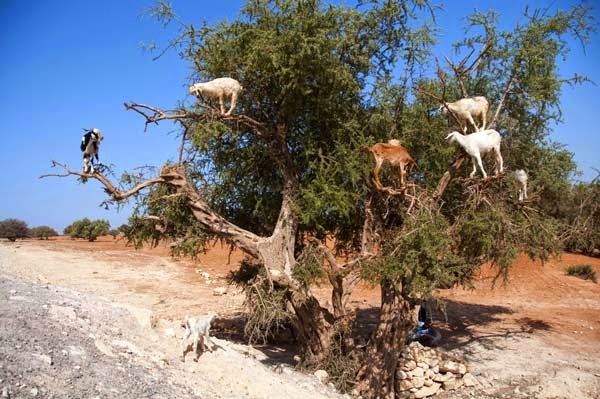 Animals can do some pretty amazing things. Share their epic talents with others by clicking on the button below. Can You Spot the Snow Leopards in These Photos?